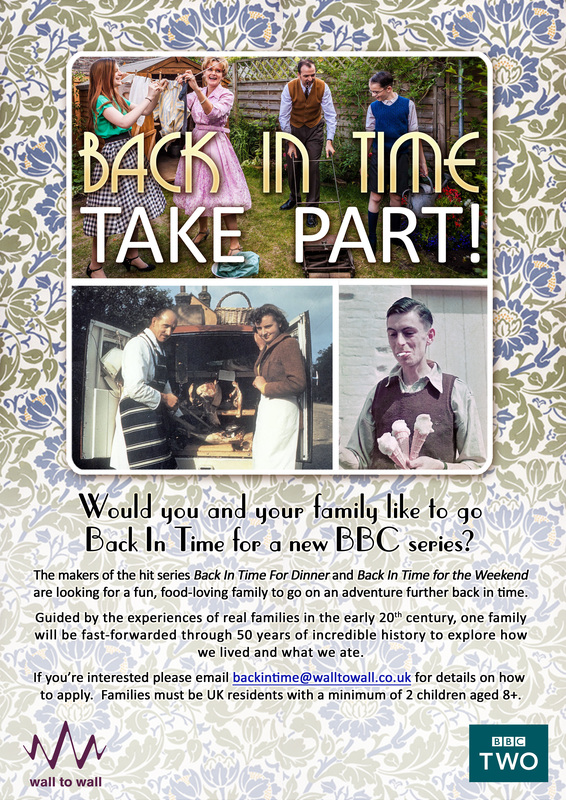 Could your family be the stars of a new BBC food history show? They’re looking for a family with a minimum of two children who are available to film over the summer holidays this year. All children must be over the age of 8, and ideally the family will include teenagers and be based in or around London. Please note that this is NOT an acting role, but it is a fantastic opportunity for anyone to immerse themselves completely in history, live in a different age and appear on a BBC TV show. Contact backintime@walltowall.co.uk for more details.